1929. 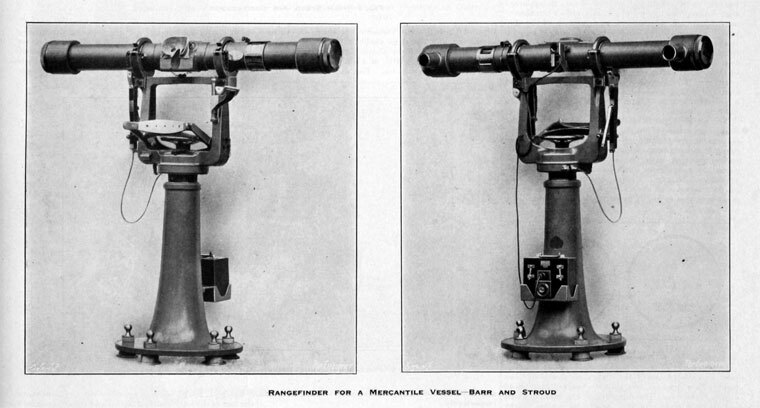 Rangefinder for a Mercantile Vessel. 1888 Archibald Barr and William Stroud began their association. The two men were professors of, respectively, engineering and physics at the Yorkshire College (now the University of Leeds). In that year, they responded to an advertisement in the magazine Engineering, to design a short-base rangefinder for infantry use. Although the resulting design was not successful at the time, the Admiralty approached them in 1891 and invited them to submit a further design for trial. By this time, Barr had returned to Scotland and to the University of Glasgow, where he had been a student, as the Regius Professor of Civil Engineering and Mechanics. He continued to keep in close touch with Stroud. 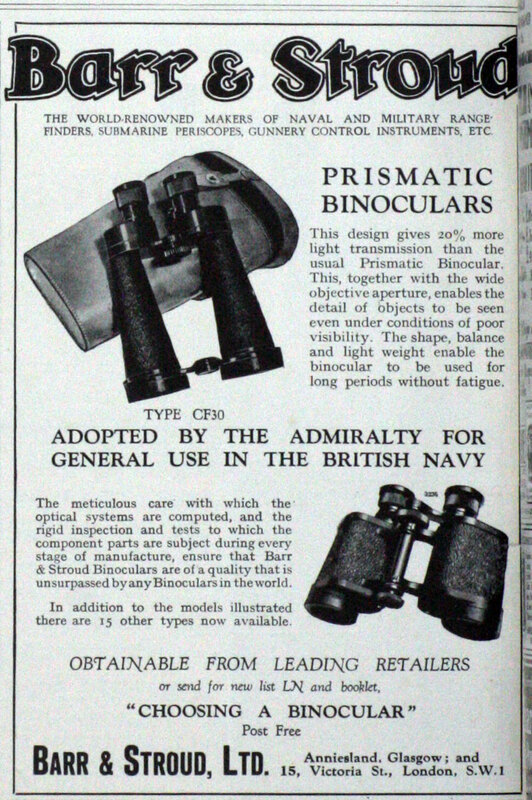 1892 The Admiralty adopted their competitive design for a rangefinder and gave them a contract for an initial six instruments. The mechanical parts of this rangefinder, known as NRF No 1, were constructed in the workshops of the instrument makers, James White in Cambridge Street, Glasgow. 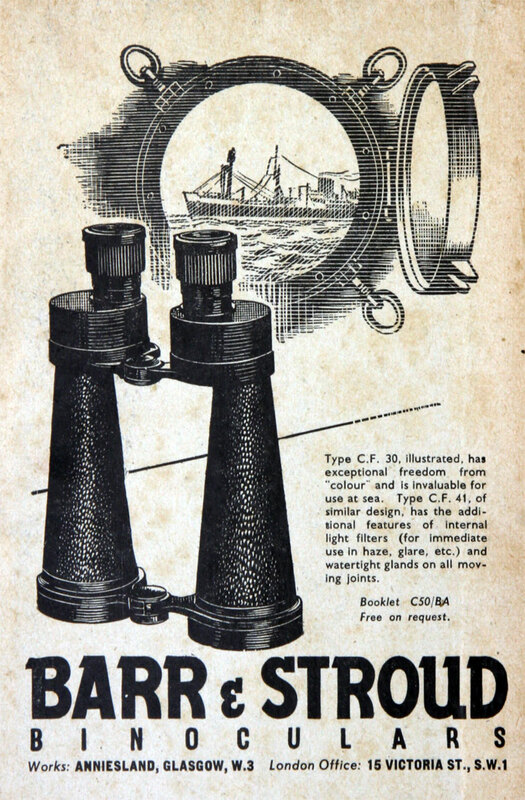 Optical parts, calculated and designed by Barr and Stroud, were manufactured by Adam Hilger of London, initially at the expense of the inventors. Stroud raised funds for the project by giving popular magic lantern shows around Leeds. 1895 Barr and Stroud's Patents was renting workshop space at 250 Byres Road, Glasgow, but demand for the product soon necessitated a move to larger premises in Ashton Lane, Glasgow. 1903 Mr. Harold D. Jackson became a partner of the company. By 1904, 100 men were working for the company in a new purpose-built factory in Anniesland, Glasgow. 1909 William Stroud resigned his chair at University of Leeds and moved to Glasgow to work for the company full-time. 1913 Archibald Barr, in spite of a distinguished teaching career, followed his example and resigned his chair; together they formed a limited company. 1914 They began extensions to the Anniesland works in order to meet the sharp increase in demand for their rangefinders that followed on the outbreak of the First World War. 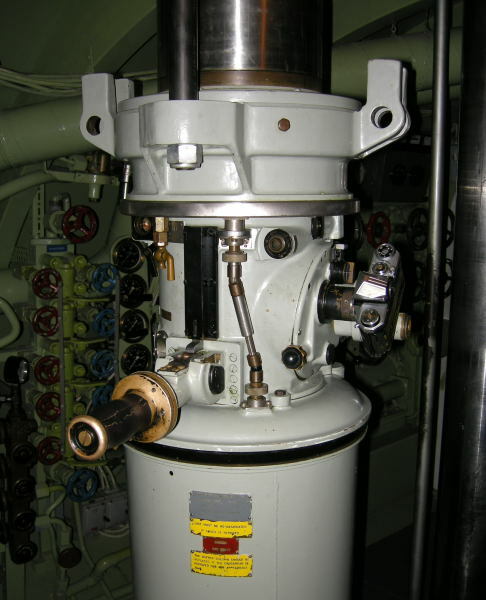 The war years saw the development of other products, including a torpedo depth recorder, a periscope rangefinder and a dome sight for aircraft. Manufacturer of optical glass - one of the few in the UK. Licenced the Burt-McCollum engine for use in motorcycles. 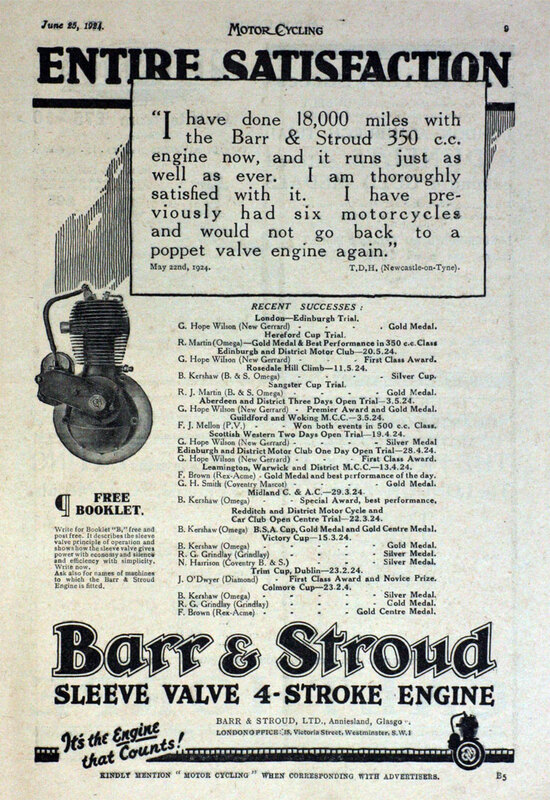 1921 The engine was designed for motorcycle application; Douglas Barr (presumably Archibald's son, Archibald Douglas Stirrat Barr) tested out the capabilities of the single-sleeve-valve engine by installing his prototype in the frame and cycle parts of a 349cc AJS. 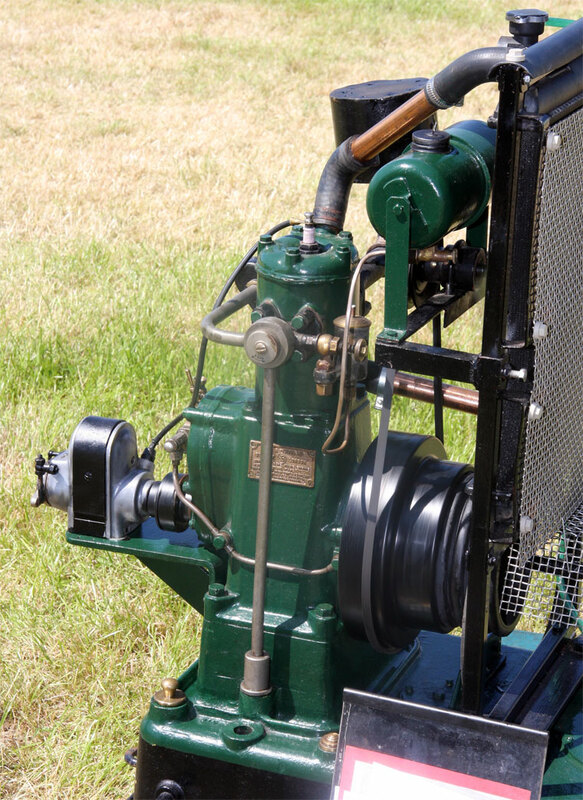 The original machine remained almost unchanged, except for the engine. It was road tested successfully for several months in 1921 and made available to the trade in the November of that year, later to be joined by 499cc single and 998cc V-twin versions. 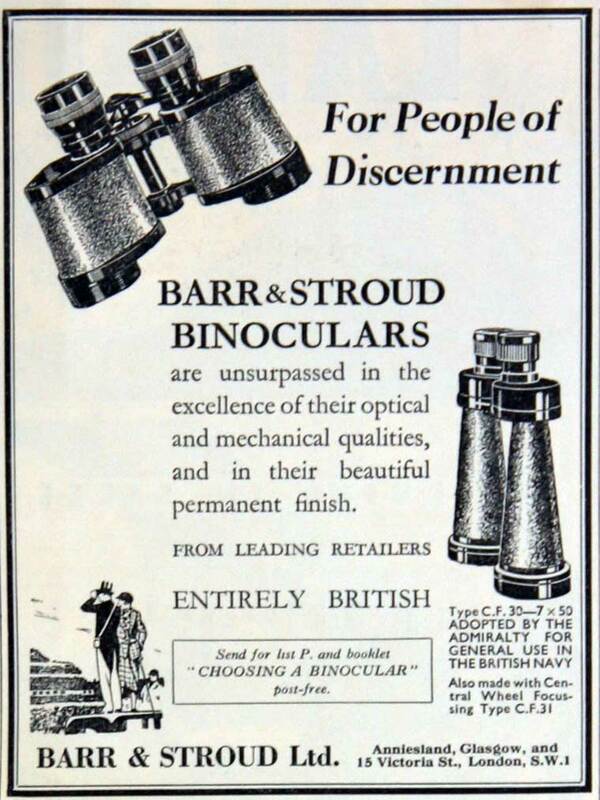 1930 They were awarded a contract to supply binoculars to the Royal Navy. 1931 Archibald Barr died. He was chairman of the company at that time. 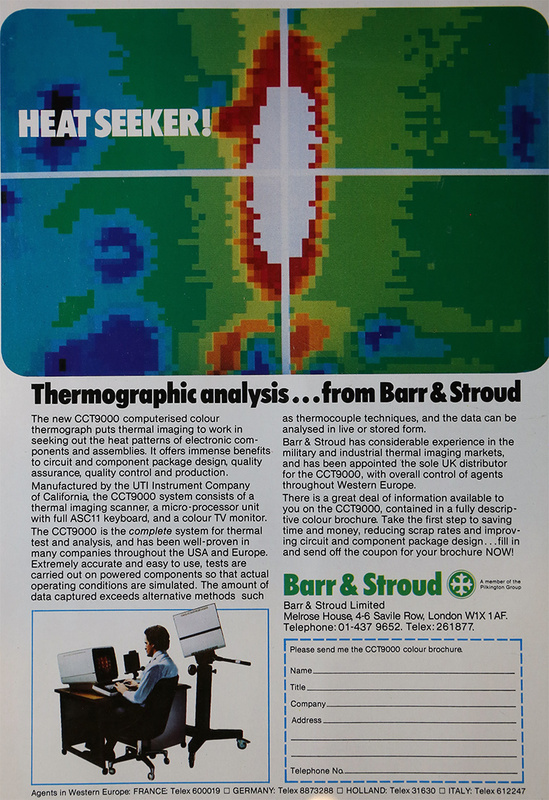 Instruments with military applications continued to be developed and produced by the company. 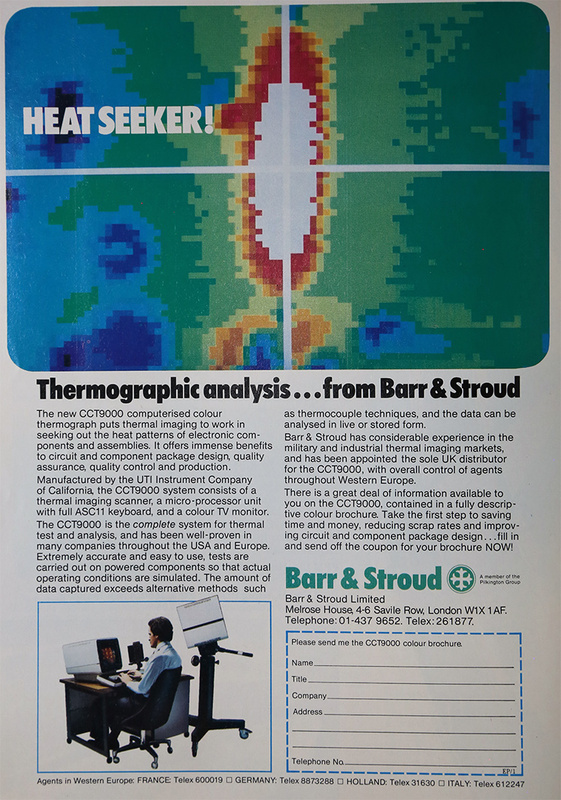 They also diversified production into instruments for civil use, particularly aerial and topographic survey. 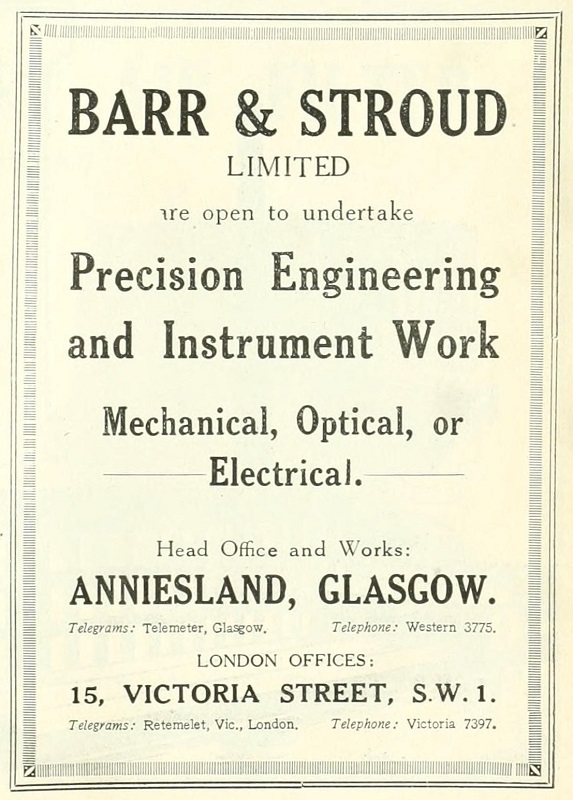 1940 Barr and Stroud moved from small premises near the University in Glasgow to the present site at Anniesland. This page was last edited on 21 April 2019, at 11:42.